One of my favorite authors and one of his best series. I highly recommend it. 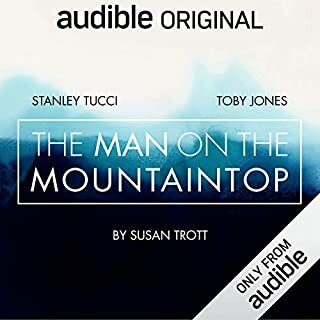 The narrator does an excellent job also. You won't be disappointed. In the tragic aftermath of the clash with the marauders, Luke has walked out. No one knows where he's gone, and no one knows if he'll be back. With only reminders of tragedy behind him, he sets off to fight his demons on his own terms, his first time alone in the ruins of America. Will he find solace he is looking for or only more danger and death? I absolutely love this series and it's reader.. 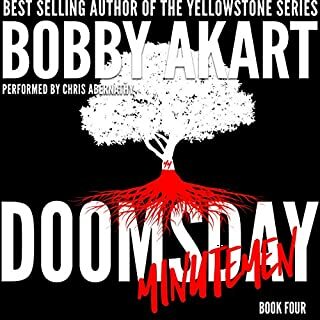 I highly recommend this series to anyone who enjoys post-apocalyptic stories. Thank you for this fantastic journey. I listen to a lot of post-apocalyptic stories... Literally over a hundred. I truly enjoyed this series... I was a little apprehensive at first because of the characters age but quickly got over that and listened enthusiasticly till the conclusion. a wonderful journey of love ,understanding and self awareness. there are many lessons to be learned from this story..we are all holy men. The dawn of human existence has proven we are warlike creatures. After destruction, will you have the tenacity to overcome obstacles and rebuild? 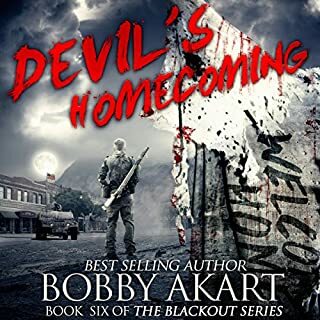 In the final installment of The Blackout Series, Devil's Homecoming, an unexpected turn of events deals the rebuilding effort a near deadly blow as the United States Government, in the form of a FEMA occupying force, descends upon Savannah. 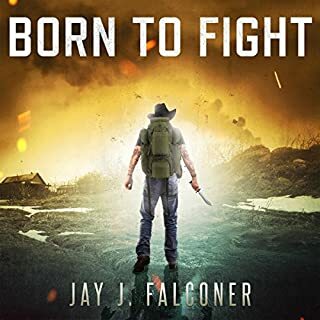 The FEMA battalion's leader is hell-bent on revenge and he is proof that in a post-apocalyptic world, hell is empty and all the devils are here. Great story with supurb characters refreshingly different. I thoroughly enjoyed the build up and that the story contains so many facts. I am starting the second book today. Joe and his band of intrepid survivors have joined a larger group of survivalists. They are making life much better by implementing mutual-assistance groups that help protect each other and barter among themselves. While life is getting better, there are still threats to handle and pains to endure. The loss of a several loved members rocks the group and shakes its faith. 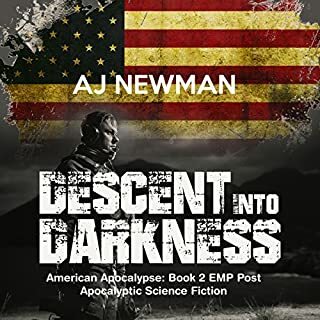 Joe and Cobie make sure the group uses the pain to make the group stronger as they fight to rid Oregon and Northern California of gangs and slavers. One of the best series ever. I absolutely loved this series.. The characters were some of my favorite... The storyline was refreshing a bit different than the standard post apocalyptic survival stuff. I felt connected to the characters as if we were all friends. 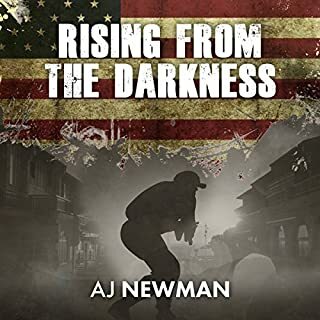 Thank you AJ Newman for the wonderful adventure. Thank you Joe's grandma for the pearls of wisdom. Thank you Kevin Pierce for your excellent narrative. Can't wait to start the next series. Truly theater for the mind.. This was great.. Especially having the original character voices.. I absolutely loved this. 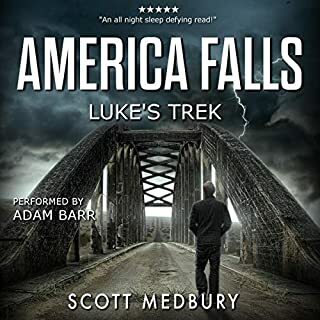 Book 2 of the series American Apocalypse continues the heroic struggles of an unlikely band of survivors in Southern Oregon. 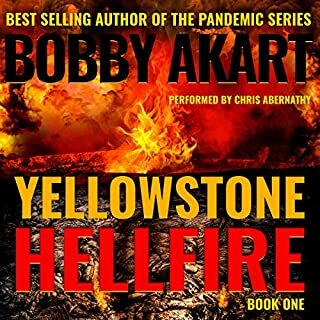 Joe Harp, the leader, was an overweight auto mechanic without any special survival skills. He had never been in the military but did know how to hunt, fish, and camp. He also had some notes his Grandma left him plus some survival books and supplies his Grandpa left him in an old cabin in the woods. Cobie Simms worked as a clerk at an outdoors store. She was working hard to survive before the SHTF while raising her daughter alone. Joe and Cobie team up to fight the evil around them and make life better for those in their small group. 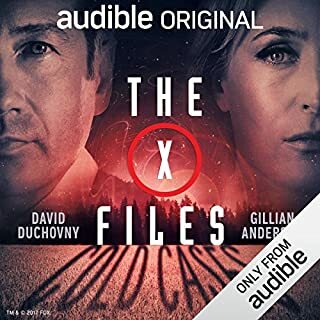 Highly recommend series... Love the characters and the storyline. The best of the best. The reader is top notch as always.. Please continue to create such wonderful and entertaining stories.